Bape is dead. The once beloved (and exclusive) Japanese street wear giant is only a fading shadow of what it used to be. 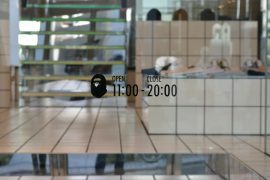 Nigo’s transition period is over for a couple of months now and Bape became more or less a Chinese company. Not that it would matter. Japanese kids nowadays don’t give a damn about Bape anyway. The brand is “un-wearable”, I was told in Tokyo. Near my homestay-location in 学芸大学 I found a small shop for vintage furniture. 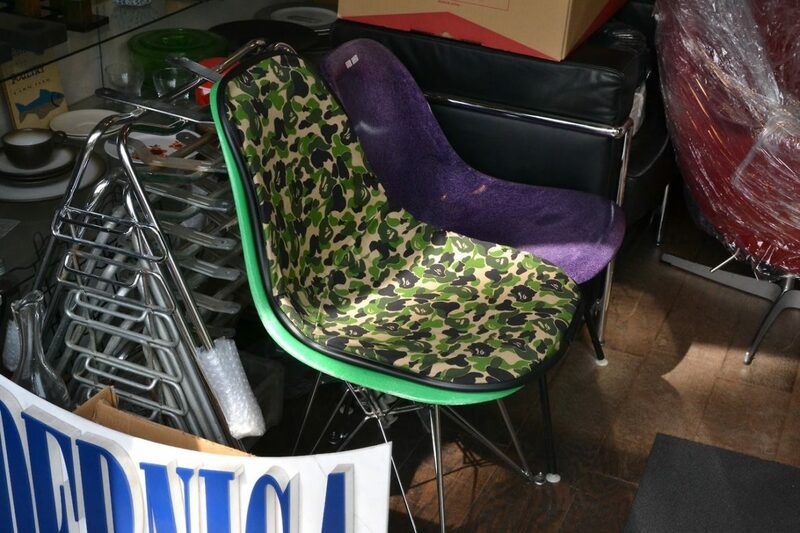 There I spotted a Bape seat cover and was totally into it. Haven’t seen one before. I just remeber that I picked up a flyer for these but can’t remember where I have it. Will try to make a picture of it for you guys. Back then, I thought the seat covers were made for the classic Vitra Eames Plastic Chair. But I was wrong. The one I found is actually a way cheaper model by the Japanese designer Cover-it-all. Unlike with the Vitra classic, the seat covers here are easily removable and can be changed quickly. I have to admit, that I would love to get my hands on one of these chairs. With 19k¥ they aren’t too expensive. The only problem would be the shipping costs to Germany. Which would probably make this chair double its price. Bape is now selling a nice coffee table with a plate out of managony and stainless stell legs. This sure looks nice when you have the matching stool as well. Bape sells these as part of the Bape Gallery directly over their Japanese website. Quite pricey, with 80k¥ for the table and another 40k¥ for the stool. Not that it matters. We won’t be buying it anyway. Maybe the Cover-it-all seat. Still love this one.